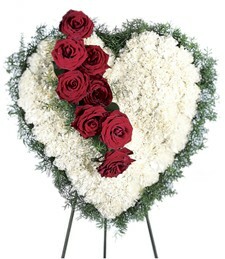 Pretty, poignant, and perfectly lovely! 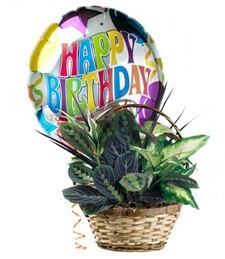 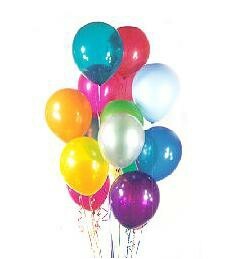 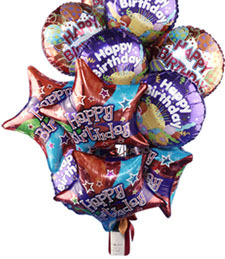 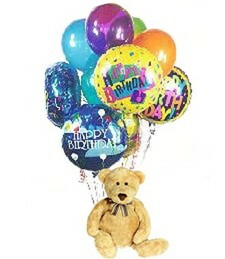 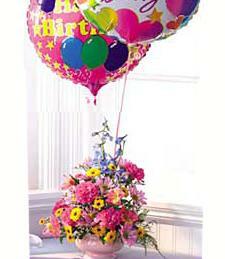 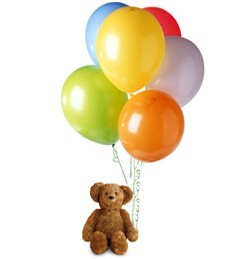 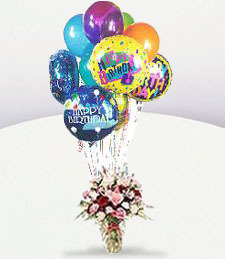 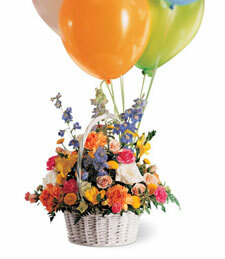 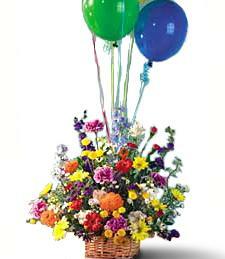 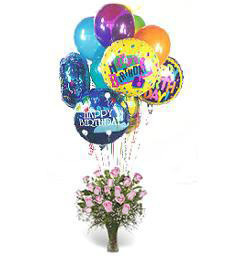 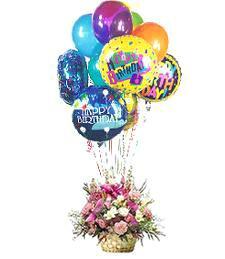 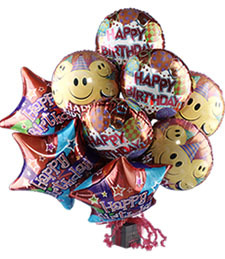 Complement a beautiful bouquet of fresh flowers with shiny birthday balloons! 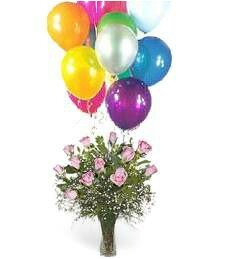 Send today! 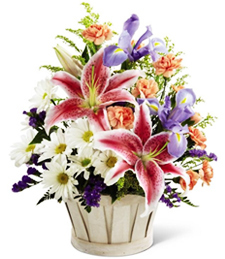 Precious pink petals burst from this arrangement, making it bright, vibrant and truly cheerful. 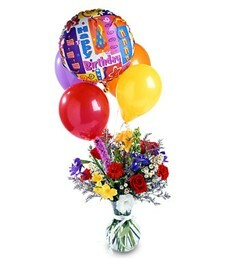 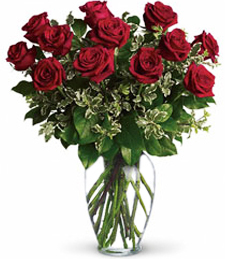 Spoil someone close to you on their birthday with this wonderful arrangement of roses and balloons! 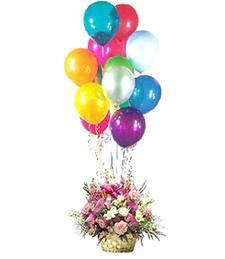 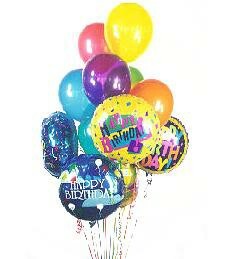 Colors Abound in this vibrant and festive assortment of blue, purple, white, pink, red, yellow and orange balloons and flowers. 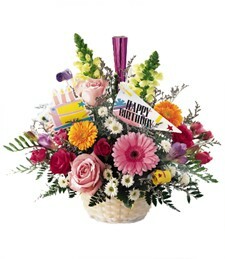 Send this symphony for the senses as a token of your Birthday wishes. 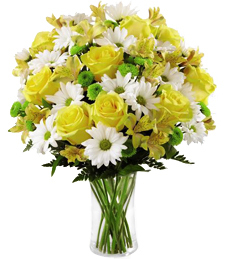 Fresh flowers, roses and daisies are sure to dazzle in delightful lemon yellow and pretty pink tones! 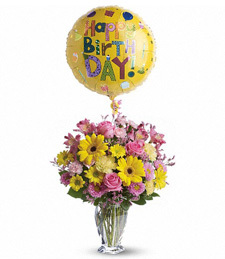 Complimented by a cheerful mylar birthday baloon, there's no better way to surprise someone on their special day. 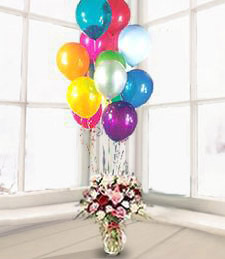 Beautiful and bright, this bouquet of cheerful, vibrant balloons is a wonderful way to spoil a birthday boy or girl you care about!